Like little protrusions in nature, Corniches by Ronan and Erwan Bouroullec are informal and flexible shelves. 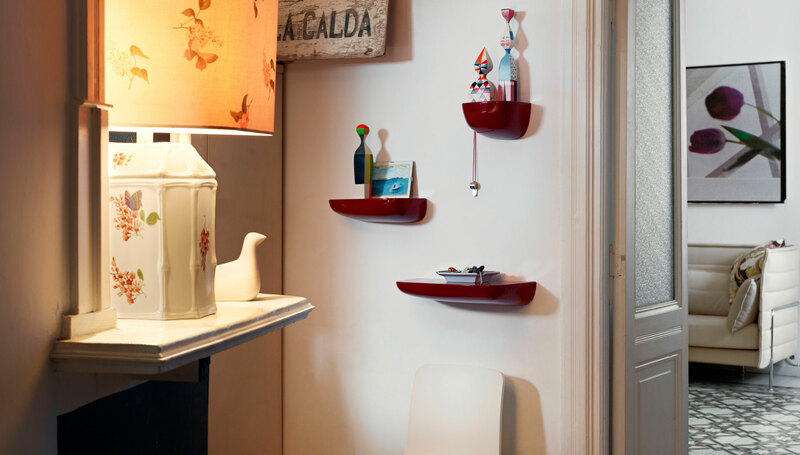 These wonderful Vitra Corniches were designed around the need to find a place for those small items that have no place in the home. “The same way that we hang our belongings on a rock jutting from a cliff before diving into the sea, we need small, informal storage in everyday life too”, explains Ronan Bouroullec. Please note: The size option (small/medium/large) refers to one shelf in the chosen size. The Vitra Corniches Wall Shelves come with a full manufacturers warranty.